The F-14 Tomcat was a two-crew, variable geometry, maritime air superiority fighter that served with the US Navy for 32 years and continues to serve with the IRIAF in Iran. The F-14 was the US Navy’s frontline fighter from the 1970s until the mid 2000s. Over the course of its long service life it also became the US Navy’s premier precision ground-attack platform and lone airborne reconnaissance asset. Heatblur was founded with the goal to be an absolute leader in the flight simulation space and the F-14 represents another step on our journey to achieve that goal. Over the past few years, we’ve assembled an immensely talented and dedicated team of engineers, physicists and artists to bring our chosen airframes to life. The F-14 represents a generational step forward for Heatblur, one where we not only try to push the bar in an aircraft’s flight modeling, systems or visual representation – but one where we introduce new, novel features into the sim and create entirely new pieces of modular technology that we can leverage in the future. We’re immensely proud of what we’ve achieved so far. With a flight and systems model that has been engineered over the course of several years and carefully vetted through hundreds of combined flight hours by F-14 legends, we lay the foundation for an F-14 simulation that hopes to acknowledge and honor the men and women of the Tomcat community and all of their hard work. Throughout this journey, we’ve been blessed to work with many fantastic people and subject matter experts who have been absolutely invaluable in bringing the aircraft to life. Thanks to all of you! This will be the beginning of our Tomcat journey. Our sole focus will now become the absolute perfection of our Viggen and Tomcat products through their Early Access periods, as we continue towards release versions of both modules and add new, exciting AI content into the skies of DCS World. Thank you all for your support over these past years. We can’t wait for this amazing community to finally join us on our Tomcat journey. See you in the skies on March 13th! The MiG-19P Farmer was designed by the legendary Mikoyan Design Bureau in the Early 1950’s and was the Soviet Union’s first true supersonic interceptor that could exceed Mach 1 in level flight. Designed to take on enemy fighters and bombers at any time of day or night and in any weather condition, the Farmer was equipped with the RP-5 lzumrud radar in the nose and armed with two NR-30 30mm cannons in the wing roots. The Farmer is also able to carry an array of ground attack weapons that include S-5M rockets and various general-purpose bombs. It is a lethal interceptor with conventional ground attack capabilities. We are proud to bring you this exciting addition to DCS World. The Farmer is highly-optimized to work within DCS World and takes advantage of its unrivaled combat environment that only Eagle Dynamics can offer. Note: Requires DCS World version 2.5.4 or above! For more info and to purchase DCS: MiG-19P Farmer, please visit the DCS E-Shop HERE. The art of aerial dogfighting is one of the most dynamic forms of combat, experienced in three dimensions, setting the stage for a highly unique and challenging battleground. Now, with Ace Combat 7: Skies Unknown’s multiplayer mode, players can enter dogfights with their friends and coordinate battle strategy to take out opposing players. Ace Combat 7: Skies Unknown’s multiplayer mode will consist of two gameplay variants; the first variant takes on a team death match format featuring 4 vs. 4 dogfights. The second multiplayer variant takes on a traditional death match format, enabling up to eight players to blow each other out of the sky. In both multiplayer modes, only players with skill, guile, and determination will taste victory! 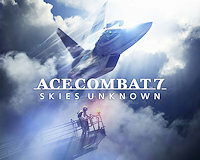 Click here to check out the multiplayer action in Ace Combat 7: Skies Unknown.